Corita Kent, Bread and Toast. 1965. Silkscreen on off-white wove paper, 16 7/8 x 26 3/8 in. Crocker Art Museum, gift of the Collection of Ernest A. Long III. Kent's screenprints combine images and words to create bold messages of joy. 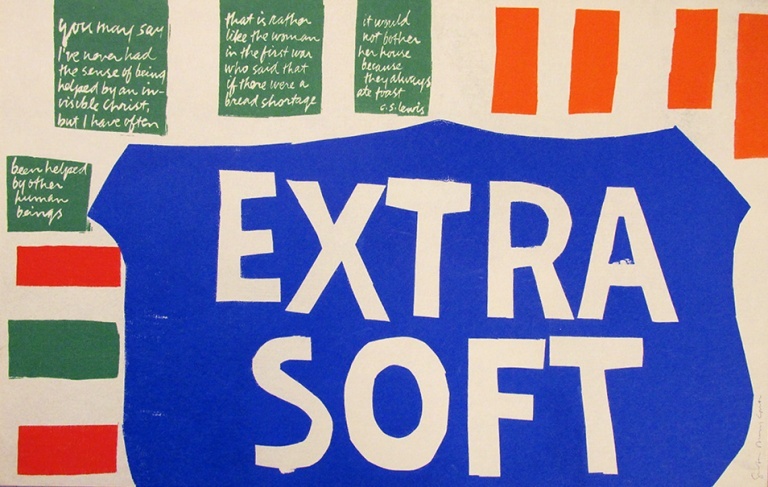 Corita Kent, within you, without you. 1967. Serigraph, 29 7/8 x 36 1/4 in. Crocker Art Museum, gift of the collection of Ernest A. Long III. 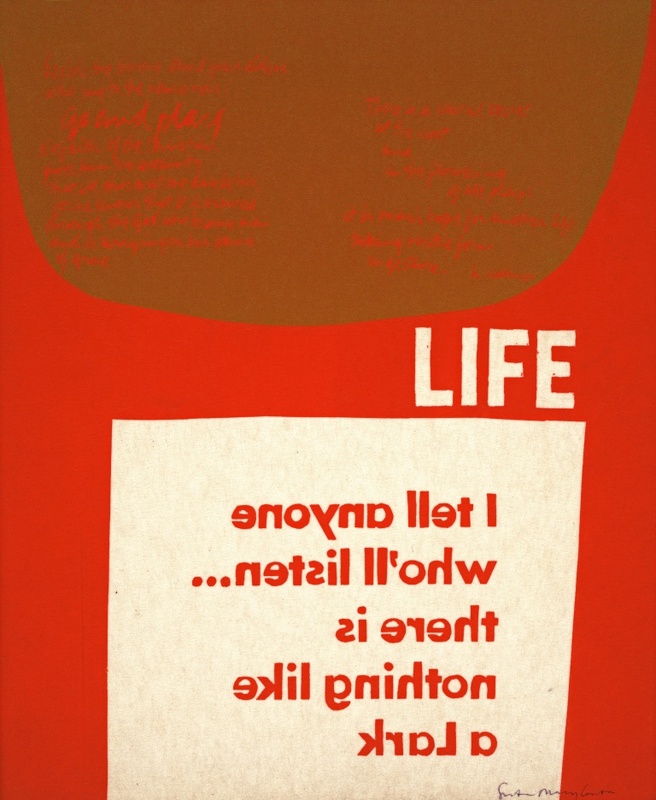 Corita Kent, life. 1965. Serigraph, 17 1/2 x 14 1/8 in. Crocker Art Museum, gift of the collection of Ernest A. Long III. 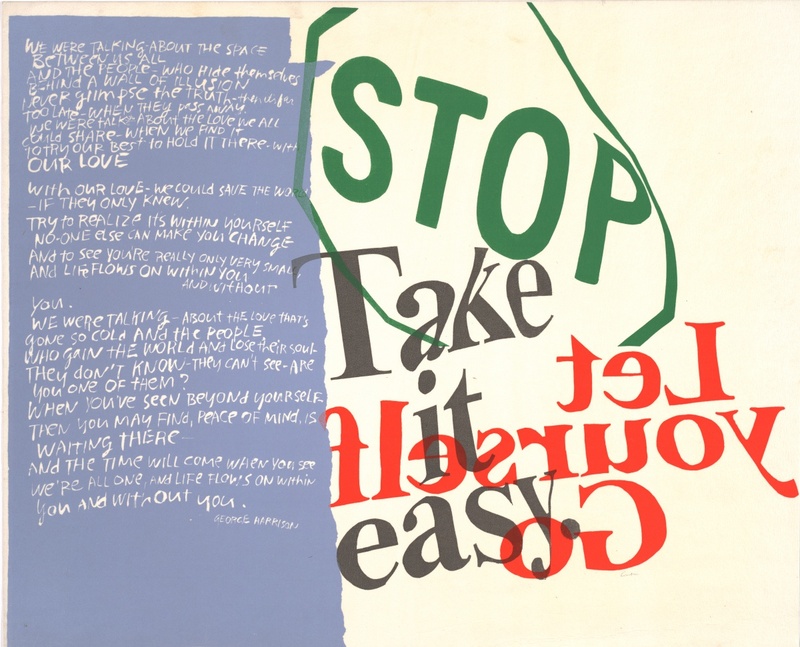 Corita Kent, feelin' groovy. 1967. Serigraph, 29 7/8 x 36 in. Crocker Art Museum, gift of the collection of Ernest A. Long III. 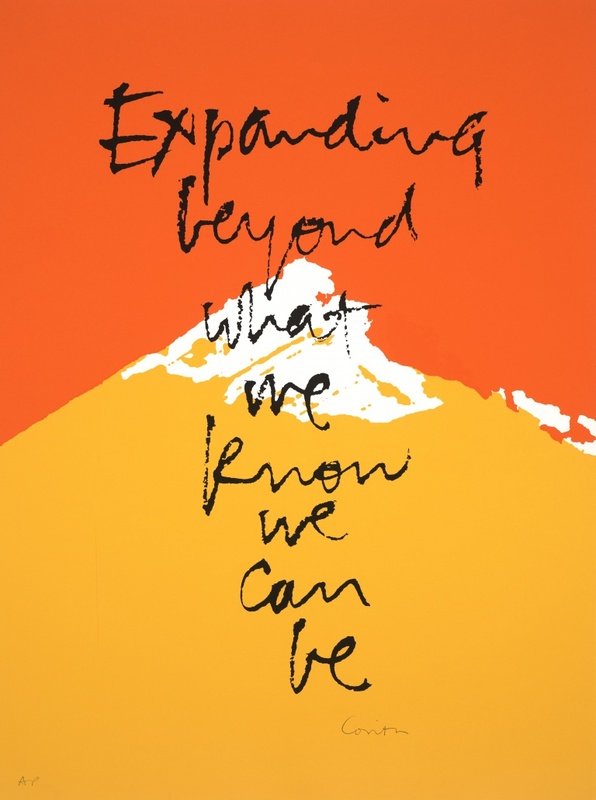 Corita Kent, expanding #1. 1978. Serigraph, 22 x 16 1/2 in. Crocker Art Museum, gift of the collection of Ernest A. Long III. 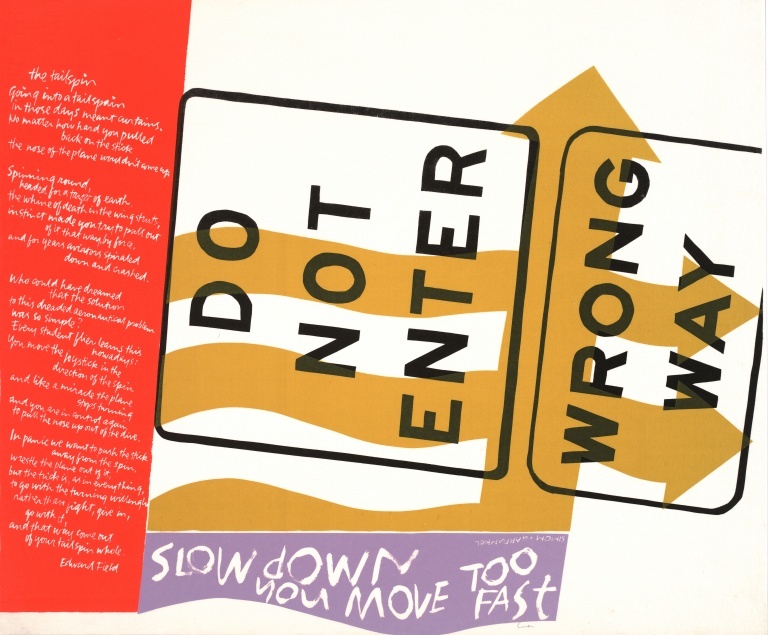 Nun, printmaker, and activist, Corita Kent developed and used a striking Pop sensibility in her religious art. Drawing on the visual language of advertising and the daily world, her screenprints combine images and words to create bold messages of joy. Leading the art department at Immaculate Heart College in Los Angeles, Kent became part of an enthusiastic community of socially engaged artists who revolutionized campus life. Her adventurous approach in art and life unsettled many, including the Church hierarchy; she left holy orders in 1968 and moved to Boston, where she continued her pursuit of social justice through art until her death in 1985. The nearly thirty prints in this exhibition chronicle her most productive periods including the mid-1960s, when her forceful imagery and message—and her unexpected calling as a nun—led to her greatest popularity.